Real time update on cake matters ! 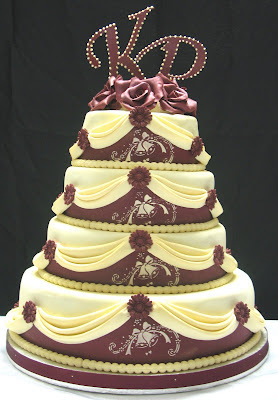 This four-tier wedding cake was made for a Botswana couple, who wanted the drape woven cakes with roses on the top. I had started the process in March by first making the four cakes with marinated fruits and nuts in liqor and then letting them mature and ripen with time by brushing them at regular interval with brandy over a period of four weeks. I must admit that in my pursuit for perfection, with some practice by now, i have been able to understand a little bit about measurements and the drapes with the cake size/height ratio came out satisfactorily, also courtesy due to creative critique from my hubby.To add few more words, my first critics and admirers are my hubby and my son. The wedding bells were embossed on the cakes and the drapes were pinned with daisy sugar flowers. I would like to add my new friend Tartasacher of http://milpostres.blogspot.com/, who visited my blog for the first time and gave me an honour which i have to maintain. Thank you, dear ! let me be the first to congratulate you on the cake. How many days did you take to complete the whole thing ? Thank you.I hope you liked the symmetry. Usually, from my own experience till now,the wedding cake with fruits takes around one and half months. Four weeks were taken in maturing the fruit cakes. It took me two days to cover them with marzipan and allowing them to dry. Another two days were taken in covering them with fondant and allowing them to dry and then i spent another couple of days for decoration. I usually work late in the night on the cakes, as the day is busy with office and family chores.I hope it helps. I gasped in delight when I saw this most exquisite tire wedding cake!! This is such an outstanding work of art!!! Many congrats on your award this is most deserved!! Wow - those drapes look like fabric they're so soft and perfect! Such a beautiful cake - I love the colours too. Wow...mind-blowing perfection on that cake Anamika!! The symmetry, structure balance, colors, drapes, bells everything is awesome. Excellent patience & dedication to achieve the final outcome. Are you planning to publish your own book girl. Great picture. Anamika congrats by your Award, well deserved!!! Dear this is beautiful is the one of the most beautiful Cake I never see!!! Really nice. I read your comment and it is a lot of work to make these. 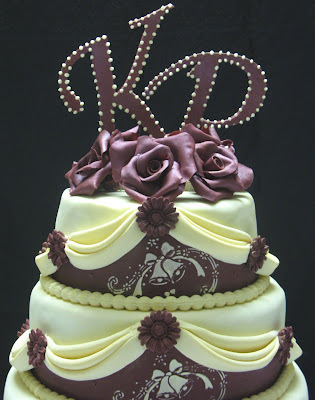 Very beautiful tier Cake Anamika !! Lots of patience U need to make such a wonderful cake..
U deserve this Award Dear !! Congrats !! This is the road to perfection. Well done ! Anamika, we adore you..welcome to the league ! Step by step, without rushing into things and sticking to the basics ! Life is not running away and you achive perfection ! This is what was said ! Now you see, perfect cake ! Congrats on ur award, u really deserve it. How could u have such a patience, the wedding bell , the drap look, wow, i am speach less Anamika. I am trying very hard not to start with the word WOW again. But what can someone say when you create art. Excellent work. ¡¡¡Oh!!! Amika. The wedding cake is very, very beautiful. Thank you for your visit and comments. 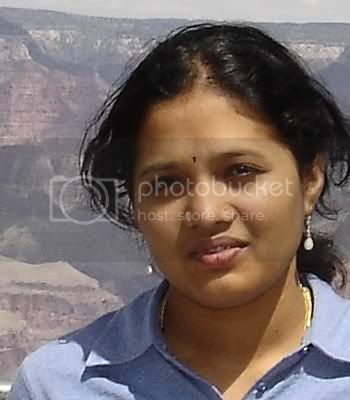 Anamika, Congratulations for maintaining such an excellent blog!! U r truly talented.. I couldnt see any imperfections.. Ur blog is simply superb! thanks for the words that you bestow upon me. I will always try to learn more to achieve the desired result. I visited your blog and loved your posted recipe for Raspberry Soufflé Gateau. I think i should try it one of the days. i feel happy that you liked the drape and it gives the fabric appeal...so i think i am getting somewhere.thanks for your words ! thanks for making me feel that i am learning and practicing the art the right way in terms of symmetry,structure balance,choice of clours to get the visual appeal.still a long way on the road but feel more confident now. thanks for passing by my blog and leaving your words of appreciation.In fact, when i passed by your blog,i loved your rasmalai and could not resist from dropping few words. thanks for passing by. hey, you give me an idea about writing...i dont know..life is too hectic now..maybe in later part of life. thanks again for an idea ! your words inspire me to do more and learn more...its an infinite world of creativity and suddenly life appears to be too short to learn everything but it makes one never stop learning. yes, i am like what i define myself in 6 words. thanks for passing by...you know making of a fruit cake and using marzipan and fondant for sugar craftwork is a process and you have to go through the process. I have been using butter cream icing and royal icing for a long time but started using marzipan and fondant from last year.Yes,it is work. Most of the time, i bake the cakes and decorate them but let's say,if i have to make & decorate the cake in less than an hour, then simply i pick up the plain cake to decorate. Beautiful cake ! The tiers look royal and the draping looks excellent! I dont know how you manage cakes,office and home! Again,you sculptered a piece of art,that looks grand,impressive and beautiful! Congratulations, your blog site deserves 'E'. Recently i had time off from my journalism and i was searching for cake decoration article in India and found out,to my surprise that there is one,too in India, who does nice sugarcraft and her name is Swati Jain. Incidentally I also found out that she was in Botswana, will certainly meet her. Do you know her ? Soon,will be off on some assignment so catch you later and hugs to you for your exquisite artwork ! It is a splendid site. I linked so that your site could visit it from my site. Please link by all means with my site. Because I show various recipes, please visit the all of you. I am happy at all. And I pray for your good luck. Soni, this is absolutely AMAZING! Really gorgeous work. It's sophisticated but still has so much personality. Beautiful work! 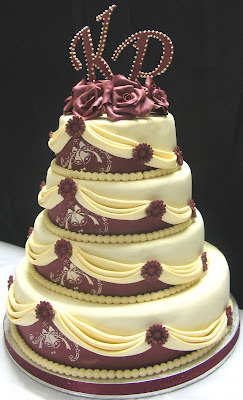 what a lovely cake that is... i loved ur blog.. 1st time here.. do visit my blog. How lucky we are that you share all of your cake creations with us. The cake looks so perfect and not a 'finger print' in sight. I've always admired sugarcraft work and the time, love and skill that goes into making cakes like these. Your cakes continue to be innovative and lovely. The flavor description cause my mouth to water. In the U. S. we have a tv show on The Food Network called Ace of Cakes . A reality show set in a cake bakery called Charm City Cakes. They have a staff of about 8 and make huge cakes using all sorts of tools. When we watch it I always think of you. What a beautiful cake! Thanks for stopping by the blog. I'm not sure if the pig van is for sale, but if it is, you'll have to fight me for it! I'm speechless again! What a great art! Excellent!!! Anamika you are a Master! Many blessings to you and your family! Anamika, whatttttttttt a beauty u hv designed!! The colors n draping neat n flawless!! Loved the teddy cake too!! U rock-balancing this edible art,home,office n studies! U simply amaze me n ur blog is leagues ahead of E award! What a stunning cake - congratulations on a marvellous job! thank you for passing by and leaving woderful words for me.I paased your blog and and appreciate your intetion for entry of Ina Garten's Peanut Butter Chocolate Chunk Cookies for the noble cause. thanks , as usual for your comments. all the best for your entry for all seasons with green gram dosa. I am so happy to know that there are Guides on the road, who think I am on the right path. thank you. Thank you Mrs Mcleod ! i still remember the words and am sticking to the basics..slowly and steadily on the road....thanks for the insight and will continue to travel on the road with firm determination. thank you for your words of appreciation. I passed your blog and loved your rise and shine mango pancakes with brown sugar syrup. i had to make the couple smile and be happy..and love doing it...thanks for your words..the passion for perfection grows on you,you know ! hi ivy welcome and thanks for the wow, as is said namaste ! thanks for visiting my blogopshere and am glad you liked the cake...well,it is smaller things that matter and make the world, isnt it...those itsy bitsy events here and there so try to maintian the blog this way..and i loved your kitchen musing chocolate kisses. Wow, what a lovely cake. Simply fantastic. Kudos to your talent. And Congrats on the well deserved award. thanks for passing by and leaving your words of appreciation.well, its about passion,isnt it! when you are busy, you will always find time to squeeze out..so there i am .I feel happy that you liked the drapes and feel it gives the effect of 'royal'. i loved your description.. sophisticated but still has so much personality...thank you for encouraging me. welcome to my blog and thank you for your comment.I liked your cocochoco burfi and the set up of your site. thank you for passing by and leaving your comment. Hey, i loved your version Bittergourd Fry with Besan. I have made friends,indeed ! i feel that apart from display of the cakes, i am also making friends along the way,who remember me on occasions. thank you ! thanks for your comment..we will share the van ! thanks..your comment makes me feel that i am on the right path on the road to perfection! thanks for passing by the blog and leaving your comment. welcome ! i loved your entry for the colour yellow. WAOW! A cake suitable for a royal wedding. You really deserve to be rewarded. OMG! !that is one beautiful wedding cake...amazing...my first time here...u r really artistic!!! thanks for passing by and for your words of appreciation. i feel happy !i happen to pass by your blog and loved your misi roti..a nice recipe for the entry, indeed ! i still loved your pancake. thanks for passing by the blog and appreciating the work. I hope we see each other often. thanks for your words of appreciation... i think when you are busy,you will aways find time for other things.In fact by studying for MBA,i have become good at crisis management ! The egyptian domiati cheese is not available here but i think,why not try to make some paneer chilli..in the same way we make chicken chilli or use it in betweeen skewers for barbecue or for veg baraai ! This is a masterpiece! I wish you could make me my birthday cake! I found ur website and I am here for the first time. I was Absolutely speechless!!!!!!!. Oh god u are really great baker!!!!! !What an amazing collection of cake decoration u have.A great inspiration for me. thanks for visting my blog..it was a lovely surprise and when i visited your blog,i felt happy as i can leran a lot from you. your carrot cake picture and illustration is nice. i know you are a cancerian..my son,too is...just tell me when is your birthday, eh ! welcome and thank you for passing by my blog and leaving words of appreciation. its how we discover people, isnt it. i loved your blog site and biryani is still in my mind ! Good to see your off and on.. but your comments are alwys welcome. Thanks for your comment and all the best for your next assignment of journalism. Just to satisfy your inquisitiveness, Yes, Swati Jain and I know each other very well...she was in Francistown and we spent almost two years together. Yes,she is very good in art and sugarcraft. Dear Anamika, is a beatiful cake, and you had Im sure a lot of work!!! Amazing Cake! The drapes are fantastic. I love reading about all the energy and passion you have for your craft. Wow Soni! I'm dumbfounded. You are one talented sugar crafter. This cake is the height of perfection. And I still can't believe how patient you have to be. Kudos Soni. God has blessed you with an astounding talent. You have found out what you are good at and you are doing a great job of doing it too. I really envy you. Continue the excellent work. Wow! You are so very talented, that is an amazing cake! Also, that is my favorite type of cake, the fruit and nuts saturated with liquor syrup...YUM!!!!!!!!! its a plseaure writng back to your comments, you know that ! you have given me so much inspiration on table layout that inadvertently i remember you when guests come to our houses. thanks for that ! thanks for passing by my blog and for your words of appreciation. i went to your blog site and i can learn so much from your posts,you know ! thanks for such wonderful prompt reciprocation..and your words. I simply loved your blog and will keep visting to pick up ideas, thoughts etc. I would like to know where I can buy a ready-made fruit cake, I buy viagra and I can help with that. Some i have..some i wish for ! This is a Flickr badge showing public photos from amar_guddu. Make your own badge here.